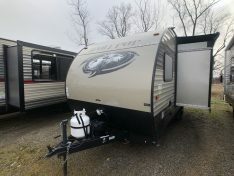 Although a Pup in size this Wolf Pup small RV by Forest River Travel Trailers packs a Wolf sized bite when it comes to features and fuel efficient towing. 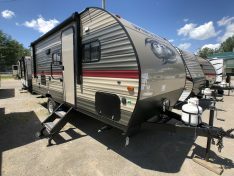 Wolf Pup Travel Trailers offer easy to tow, easy to use floor plan options for your family. Our compact camper design provides you plenty of space to enjoy a weekend in the great outdoors. 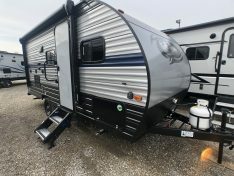 Cherokee Wolf Pup campers come in a variety of different lightweight RV layouts so you are sure to find that new Wolf Pup camper you’ve been looking for.